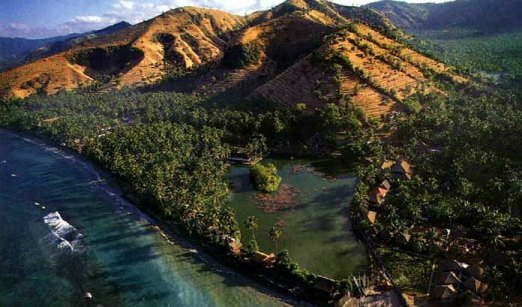 Bali is a paradise Island. 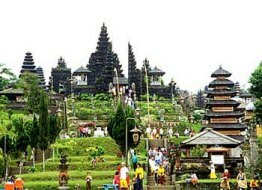 Bali is 5600 km2 and is divided by a ring of mountain to be the north and the south Bali. The population is about 3.500.000. The religion is to 90 % Hindu. 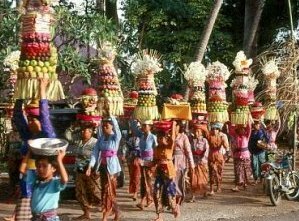 We have many kinds of ceremonies, for example god ceremonies and cremation. The people of Bali heve 4 castes .The castes was coming from the jobs. Brahmana (1.casta) is the family of priest, Ksatria (2.casta) is the family of Kings and wariors, Wesia (3. casta) is the family of sellers and sudra (4. casta) is the family of farmers.